Dirk Nowitzki is a class-act player. He can play post, and he can bury you from three-point land. Plus, you can’t hack-a-Shaq him, because he’s about the best free-throw-shooting post man of all time. I love Germany, and I love to see German players succeed in the NBA. Dirk Nowitzki is the best German player ever, even though I have already let it be known that I still have mad respect for Detlef Schrempf. 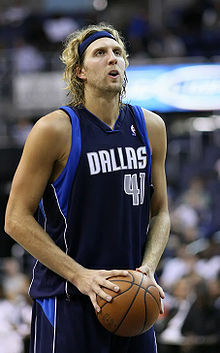 Now that Dirk has a championship, his resume is complete, and he can be remembered as one of the best NBA players ever. 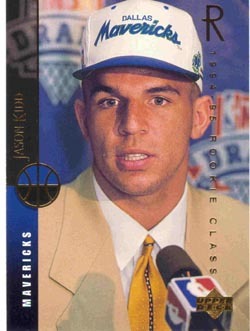 I’ve loved watching Jason Kidd play since he was a rookie. Yeah, he got into some legal trouble every now and then, but I still love watching him play. Jason Kidd is an incredible passer – very John Stockton-esque. He also is a great shooter. He has been in the league a long time, and I’m glad he finally got a championship. 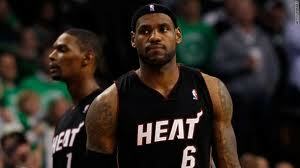 Ever since “The Decision,” I have been cheering against Lebron James every chance I get. I like Dwayne Wade and Chris Bosh, but this whole deal about the “Big Three” has been awfully irksome. I’m glad to see them fail. Lebron James is a great player, but much of his persona is pure hype. Go win a championship, and then we can compare you to MJ or Kobe or Wilt. Until then you can be compared to Karl Malone and Patrick Ewing – and I like Karl Malone a lot better than you Lebron. 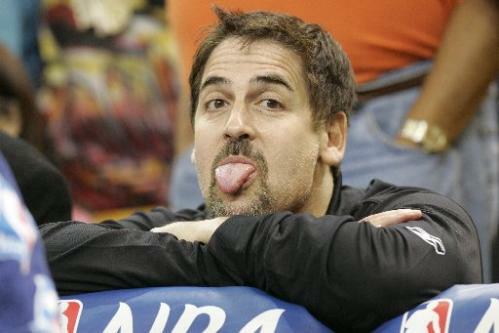 Most people either love or hate Mark Cuban. I love him. He is a hoot. I really enjoy watching his antics. He might be a hot head, but he supports his team all the way. I love that he sticks up for his players, and I love that although he is filthy rich, he lets himself be emotionally involved in every game. Congrats Mark. Would have been interesting to have you as the Cubs owner too, sorry that didn’t work out. Why would I put these guys on here? 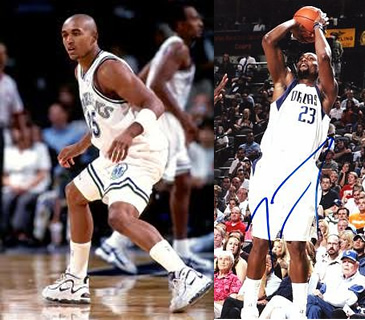 Neither one of them is on the Dallas Mavericks now, but both of these guys used to play for the Mavericks. They also used to play for Austin Peay State University. I was a ballboy when Bubba played at Austin Peay, and I followed both of these guys’ careers. For this reason, I have had a soft spot in my heart for the Dallas Mavericks for many years. I can’t call myself a fan of the Mavericks, because I don’t own any Mavericks’ gear, and I really don’t care about the NBA 85% of the time. If I were a fan of any team though, it would be the Mavericks – largely because of these two. That’s my list for today. Once again, congrats to the Mavs and booyah to Lebron James.